The all time comfort food classic teaches us that the simpler a meal is, the more of an influence ingredients play on flavor. We don’t claim to know the recipe for the all-time greatest mac & cheese ever invented but if we were to make a list of most valuable mac and cheese players, it probably wouldn’t look much different from Chef Nessad’s lineup: Cabot Butter, King Arthur Flour, Kimball Brook Farm Dairy, and North Country Smokehouse Bacon. This jaw-dropper came across our food feed not too long ago. 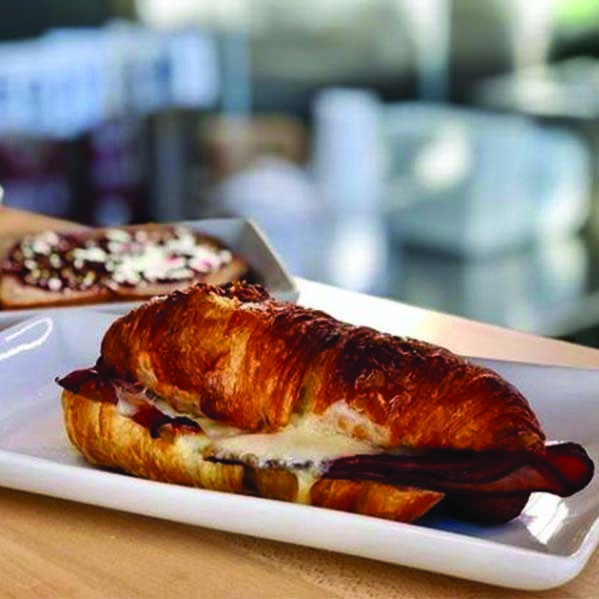 In this spin, Birch Tree Bread Company pairs their freshly made croissant with our Applewood Smoked Boneless Ham and Vermont's own Cabot Cheddar. Hearty, warm and truly tasty, there's no better way to start your day. Of all the salads in the world, Cobb is the most comfort-driven, packed with protein and healthy fats, thereby earning a spot on our list. Mont Vert Cafe sources their Cobb Salad ingredients from yours truly, Black River Produce, and Red Hen Bakery. This salad deserves to be seen, complete with our Certified Humane Fruitwood Smoked Bacon crumbles.